Find Home Business Ideas For Teachers That Give Hope. 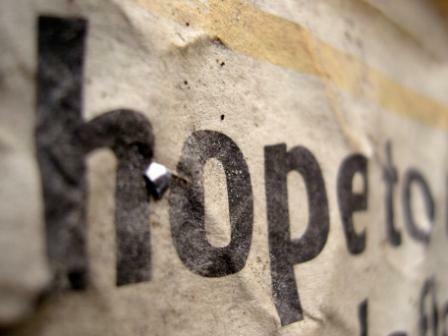 As a teacher, your core strength is giving hope. toward those ideas that capitalize on that core strength. As a teacher, you might feel that there has to be a way to use your classroom skills to start your own home based business. You are a bit entrepreneurial in spirit and willing to open your home to community members and give them the benefit of your expertise. You want a business that works hand in hand with your knowledge and skill set while earning yourself some extra income. A solid business is built on delivering value to a hand-selected group of people who desperately search for what you deliver. The ideal way to find small business ideas is to marry your core strength to targeted niche's core need, which is what you do daily in the classroom. The key for finding home business ideas that are for teachers is to capitalize on your core strength, which is cultivating others for success. You will find many great home business ideas that are becoming for teachers by scanning the community to identify key frustrations that are held by a cluster of people who are both willing and able to exchange their money for your value. You are looked to by parents as being well-rounded and knowledged. Take advantage of what you know about a child’s developmental needs and find a way to help parents shape their children to be successors of tomorrow. Consider the needs of the parents of children that live in your community or attend your school. They represent a rich niche that may serve as perfect candidates for your business. Most parents desire that their children grow up to be income-producing and productive people but are remiss when it comes to how to realistically assess their child’s strengths and weaknesses and steer them toward success. You represent hope for parents and children alike. You are also admired for your ability to be CEO of your classroom. Your ability to take control of a group and steer them towards success is your trademark. These skills, along with your resourcefulness and clear communication skills equip you to create a business by offering success-focused workshops in your community. A huge array of home business ideas for teachers can be positioned as character building workshops which can range from organizational skills, to public speaking skills, to becoming a better communicator, to just about anything as it relates to prepping junior - or even mother- for success. There are a host of other business you can start as well. or even a cooking class to teach kids how to prep fun, but nutritional after school snacks. All and all, home business ideas for teachers are endless. Just combine your passion with a little fun and you will find yourself with a handsome amount of extra cash on hand.